Capturing all the memorable moments from your wedding and telling the story of your day through their images, your wedding photographer is one of the most important suppliers to select and our real brides tell us so consistently week in and week out. Choose someone whose style ‘speaks’ to you, and whose work you love because your wedding photography will last long after the day is over. A photographer whose work I’m always thrilled to share, the wonderful Eliza Claire truly understands her couples and captures their spirit in all her images. I love her style and I think you will too. Tom is one of my very favourite UK wedding photographers. His work is crisp, clean and timeless. I'm a HUGE fan. I've loved working with Tom over the past few years. Jamie's work is colourful and vibrant and captures the most wonderful in-the-moment happiness, smiles, love and laughter. Clearly a photographer who has mastered the skill of capturing beautiful memories. We love Becky's natural and unfussy style. Her experience and confidence allows her to capture everything whilst not getting in the way - which is so important on your wedding day. We love her portrait work. Good, clean, honest wedding photography from an image-maker who is passionate about capturing natural shots of beautiful moments. We love Sara's effortless elegant style of photography. Her portraits are sublime - she's skilled at getting her couples to feel completely at ease in front of the camera and her passion for shooting using natural light shines through. Beautiful work. A really warm and friendly, personable duo of London and destination photographers- we've so enjoyed supporting this team for the past few years as sponsor of Love My Dress. Beautiful, modern and timeless, atmospheric and moody photography the kind of which makes our hearts skip beats. Absolutely sublime work from this talented husband and wife team. Fiona is truly skilled at capturing pure, raw emotion. Her wedding photography style is natural, creative and relaxed. We love her timeless style. UK and destination photographer Richard, captures bold, modern, fun and natural documentary style photography. We love his work. Emily's warm and personable approach is ideal for capturing your special memories in a natural style that you will treasure forever. Photographers Lou and Tim create beautiful, modern and elegant photography for couples. We adore their timeless aesthetic. Jade's photography is timeless and elegant - beautiful modern classic style from this Nantwich based artist. We're very lucky to have featured Naomi's work on Love My Dress. Our readers love Naomi's documentary style which captures each unique moment to tell the story of your day. 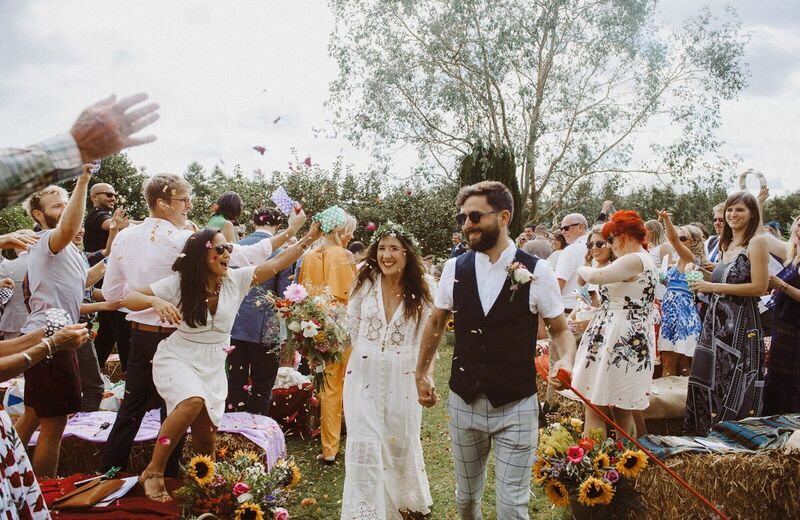 Frankee takes beautiful photographs, and I adore how she appears to be able to so effortlessly capture moments of joy when couples are at their most natural and relaxed. We could not love Lee's work more. It is so of the moment and yet so utterly timeless and beautiful. His work takes our breath away every time. Lovely, light, creative wedding photography from a talented London based artist who will travel anywhere for her couples. Emma-Jane's online gallery is beautiful. We adore Tony's wedding photography - the perfect blend of modern, bold and confident with timeless, elegant style. He has a natural ability to capture the joyous moments between humans like they didn't know he was there. We couldn't adore Paul Joseph's photography more. His work is of such high quality - clean, crisp, beautiful natural colours and light. We're all huge fans at Love My Dress. We absolutely love Lydia Stamps and her classic, romantic, light and crisp imagery - photography style that will never age and always look beautiful. A lovely lady to-boot. Highly recommended. I've long been a fan of Neil's work, it's honest and authentic with a cool, relaxed modern vibe. Dan & Lau tell the story of your wedding day by capturing the details that make it unique, in a creative, relaxed and unobtrusive way creating treasured memories that last forever. Damien captures vibrant, contemporary images bursting with colour and life. Naturally capturing the emotions of your day in a contemporary style. Ellen creates the kind of modern, creative wedding photography that has a warmth that stays with you for a long time. Clearly someone in her element when she is behind the lens. Camilla's beautiful and natural style of photography captures each and every moment of your wedding day that will become your treasured memories of each other and your guests. Delightful, honest, clean bright imagery. 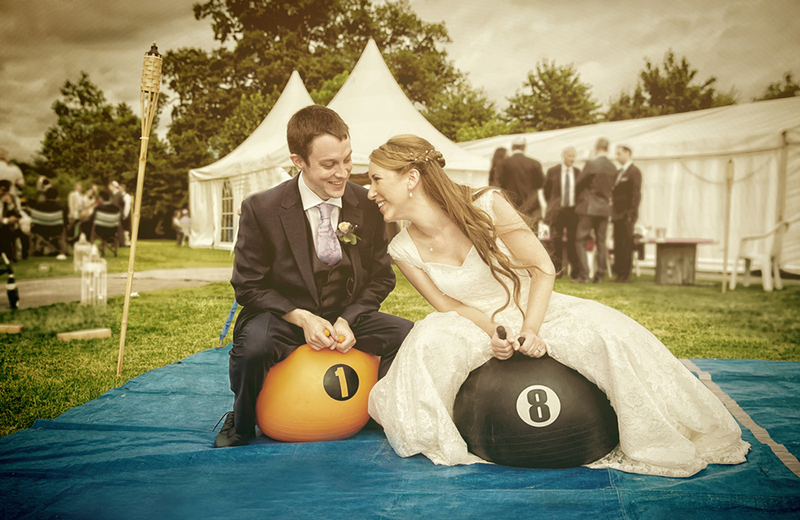 Danielle focusses on capturing smiles and laughter making her photography beautifully uplifting. Heledd is a fine art photographer who loves capturing the moments and details from your special day to create memories that will last a lifetime. David and Joanna work as a couple, documenting one of the greatest days of your life to create images that you will love for a lifetime. One of our favourite photography duos, husband and wife team, The Gibsons capture light filled images of every precious, intimate moment of your wedding day. A pair of immensely talented fine-art wedding photographers, whose exquisite imagery speaks for itself. We're proud that we get to regularly regular feature Craig and Eva's work on Love My Dress. Half of which is a multi-talented developer, designer and photographer, without whom, Little Book for Brides would not even exist! I cannot recommend them highly enough. Jessica has an artistic, relaxed and fun approach to shooting weddings. Beautiful, honest images. We love the innovation that Bow & Arbour bring to the world of weddings. Their zines are incomparable and make for a modern, fun and stylish alternative to the traditional wedding album. We adore Kate's natural, creative, graceful and uncontrived photography style. Nothing forced here, you only need look through her blog to view her talent and skill at capturing people looking happy. Adam's photography is honest and spontaneous - no awkward posed shots here, but a natural ability to be where it matters, when it matters, to capture joy and movement. We love! Siobhan photographs in a natural style, using soft light to capture all of the unique and happy moments that tell the story of your special day. For those looking for an entirely unfussy style, who wish to relax knowing they will be photographed without having to pose. Some lovely portrait shots. Hannah produces the most dreamy, light, clean, romantic, classic and timeless photography - we adore her contemporary style and it's a pleasure to share her work through Love My Dress. Emily Hannah’s wedding photography is feminine, elegant and light, the kind that will look as beautiful and breathtaking in 100 years as it does now. We adore her work. I warmed to Linus from the off. He's been such a pleasure to support and work with. A gentleman photographer with a true passion for image making. Melissa is an incredibly talented photographer whose fine art style is light, luminous and feminine. We absolutely adore her work. Photographer Sarah creates images filled with happiness, love and emotion. Her work is artistic, stylish and elegant and we love sharing it on Love My Dress. We really love the relaxed, honest and uncontrived nature of The McGlynn Sisters photography. Photographer Steve creates modern, vibrant and colourful wedding photography - striving to be like another friend at your wedding, his work is discreet and completely delightful. Honest and authentic style photography from a creative whose passion is capturing all the special and wonderful moments of life - and on your wedding day. I love Mark's style. We adore Mary-anne's modern, relaxed, documentary style. Super beautiful images that are full of joy. It's been such a pleasure to feature Barney's photography on Love My Dress - clearly a brilliant photographer who knows how to create timeless and tasteful images. Love stories, beautifully told by one very talented photographer who works with all natural light to create the most gorgeous, timeless images. We love Matt's attention to what really matters, those from the heart style images of people, love, emotions. We promise you, the 'people' pictures will be the ones you want to see the most after your wedding - and Matt captures them beautifully. Solen is an incredibly talented photographer, with a modern, relaxed and playful aesthetic. We adore her approach to photography and her bright, contemporary style. Caro is one of my all time favourite photographers. We've been sharing her work since 2010. Her photography is clean, crisp, beautifully composed and full of love. Emma is an amazingly talented photographer. I commissioned her to shoot for me this year and her work was outstanding. Clean, light and timeless. I'd recommend without any hesitation. Gorgeous images, filled with natural light that capture the romance, emotion and love between each couple. Luke creates the most beautiful, fine-art style photography. Capturing honest and emotion filled images from your special day. Claudia is responsible for having photographed some of the most popular weddings on Love My Dress. I just adore how she works with natural light. Her work is evocative and sensuous. We adore photographers Caroline and Kelly - real twin sisters who share the same incredible talent for image making. Their award-winning photography oozes love, honest and authenticity. Cecelina is a hugely talented fine art wedding photographer with a love for pretty, romance and beautiful light. Philippa is a wedding and lifestyle photographer who produces soft and feminine style images that we like very much indeed. Honest, no fuss, and from-the-heart style wedding photography. David will skillfully and effortlessly capture all the memories you will most want to relive on your wedding day. Joanna is an exceptionally talented photographer - her masterful approach to relaxed and unposed images captured in beautiful natural light takes our breath away. We adore her style. We adore Matt's work - his weddings have become some of the most iconic ever featured on Love My Dress. His style is modern yet timeless and honest. Highly recommended. I adore that Eve comes to every wedding with fresh eyes and sees so much more than you might ever notice. She has an incredible talent or capturing relaxed, spontaneous images that are full of joy. Laura is a leading light in the wedding photography world, committed to running an ethical and sustainable business and creating modern, vibrant, colourful and timeless memories. Utterly beautiful photography from an internationally multi-award winning artist whose work speaks for itself. But if you don't believe us, just look through Paul's portfolio. It is sublime.